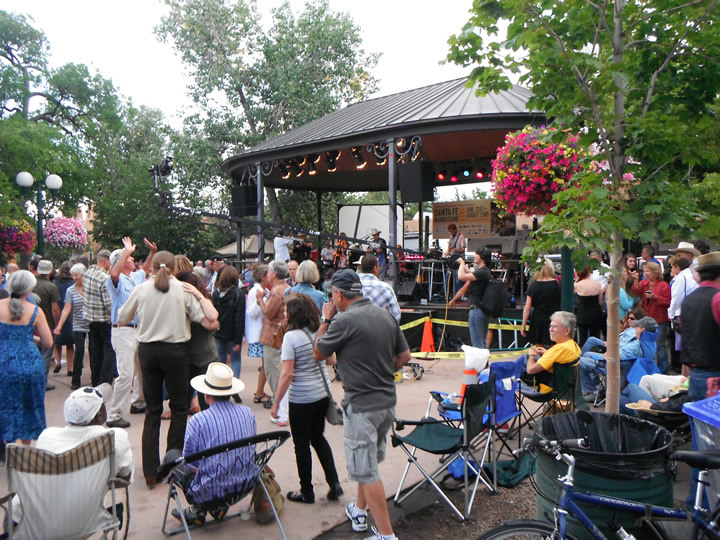 Santa Fe is very wealthy when it comes to good music, tasty food, and great entertainment! No reason to sit around being bored and hungry. Get out there and have some fun in the City Different. Set to open on Cinco de Mayo – May 5, 2016! We met one of the partners, Dustin, who is the sommelier . He promises there will be no cover, and wonderful cocktails (including agave concoctions) , and a nice menu. We can’t wait! Popular with the locals – it’s a raucous, wild place! Front patio open in good weather. 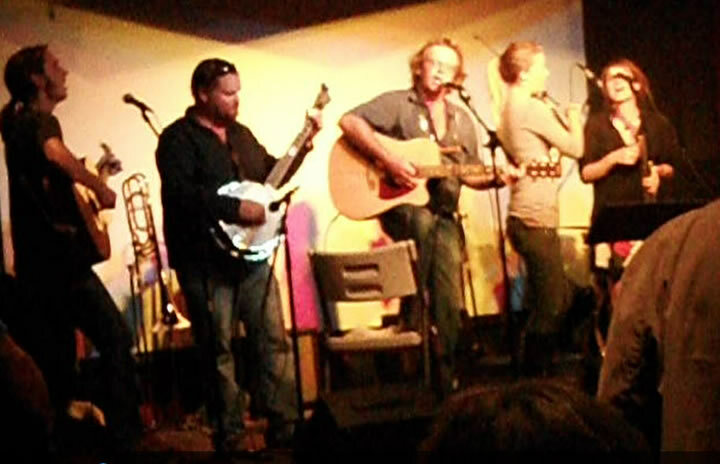 Separate music events are sometimes booked for afternoon and evening. Tourists like it, too, and it’s close to downtown. Used to be one of our favorite venues before alterations spring 2016, located downtown in Santa Fe’s most historic, famous hotel. Attracted locals as well as the expected tourists, it used to be a great place to dance or people watch. Unfortunately it now looks/feels like an airport lounge. No cover. Historic location on Canyon Rd., close to lots of art galleries. Upscale rustic. No actual stage. Sometimes a cover. Right downtown. Kind of funky. Sometimes a cover. Downtown Santa Fe, favorite watering-hole for the locals. Sometimes a cover. Large room in an industrial building in the Railyard District. The original location is on Second Street. Both locations attract a lot of locals enjoying a night out with good food and handmade beer. Neither location has an actual stage. Usually bands, no cover. A favorite local dive – restaurant and bar. Casual. Raised stage, dance floor. Owner is JR Palermo, who carries on the tradition forged by his father and uncle. Good food and best happy hour in town. They host a bluegrass jam on Tuesdays that’s fun. Sometimes they have solo performers/bands featured. Right downtown. Club vibe. Balcony overlooking main room. Raised stage. Usually there’s a cover. In Madrid, an old mining town 15-20 miles from Santa Fe – you might have seen the town featured in the movie “Wild Hogs.” On a Saturday night when they are in full gear it’s a noisy, wild, crazy place! Usually bands. Don’t thing there’s usually a cover. Inside the tavern they have a stage at one end for the performers.